The perfect annual Christmas party comes together with lots of pre-planning, a skillful decorating hand, and expert socializing skills. We have hosted many successful Christmas parties over the years, and the number one rule is to expect the unexpected. This could mean being ready for situations as small as a broken platter or as daunting as an extra four or five guests at the dinner table. While spending time with family and friends over the holiday feast is delightful, the evening can sometimes be a little dull. To keep things interesting, try to imagine all aspects of the party. This means upping the ante from the time invitations arrive at their destination until the last guest has left for the evening. We'll help you figure out how to keep your guests happy and entertained all night long. It comes as no surprise that the ultimate Christmas party involves days and even weeks of planning. Christmas parties do not have to be large and glamorous. Small, intimate parties with only a select few guests are often the most memorable. However, party planning with only a handful of guests can be just as daunting as organizing a feast for up to 20 people. We've broken down the steps to make each section a little bit more manageable. Throwing a themed Christmas party is an easy way of making sure everyone has a blast. Adding a theme sprinkles an extra helping of fun into your party, especially if you enforce a dress code. 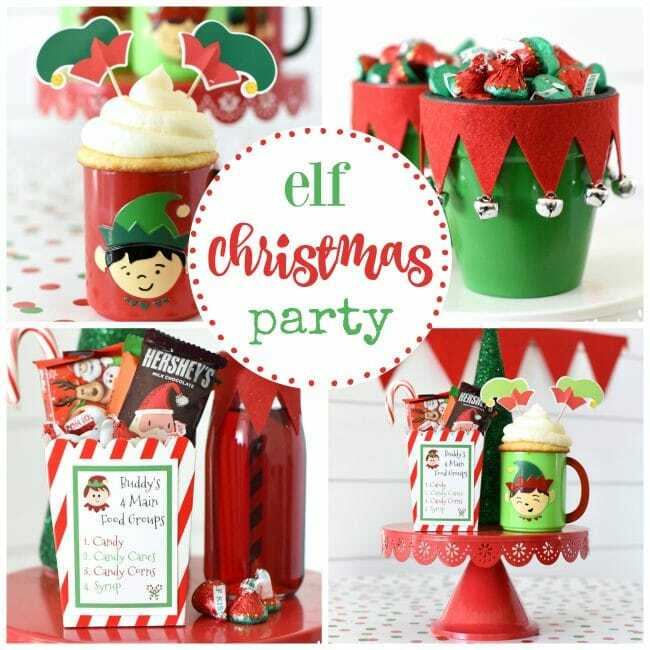 Some fun Christmas party theme ideas include "The North Pole" where everyone dresses up as elves, Santas, and Mrs. Claus. You could also stick to a color theme and ask that everyone dress in red or white. The possibilities for Christmas themes are virtually endless and adding one will make your party that much more fun. A great Christmas party does not require all of the components outlined below. It is, however, essential to be aware of them to select which ones you can incorporate into your holiday soirée. 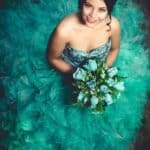 Below are a few things you should consider as you prep for your celebration. The guest list is the first obstacle you will have to overcome. 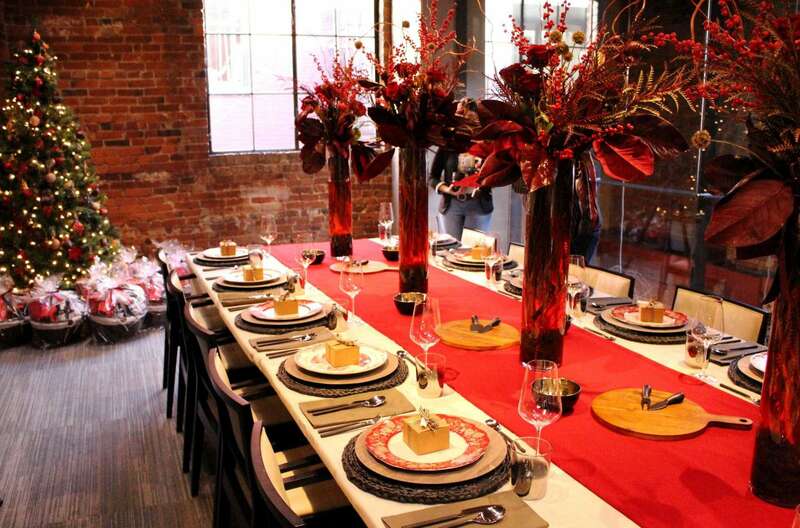 Select your Christmas party setting and work your way from there. 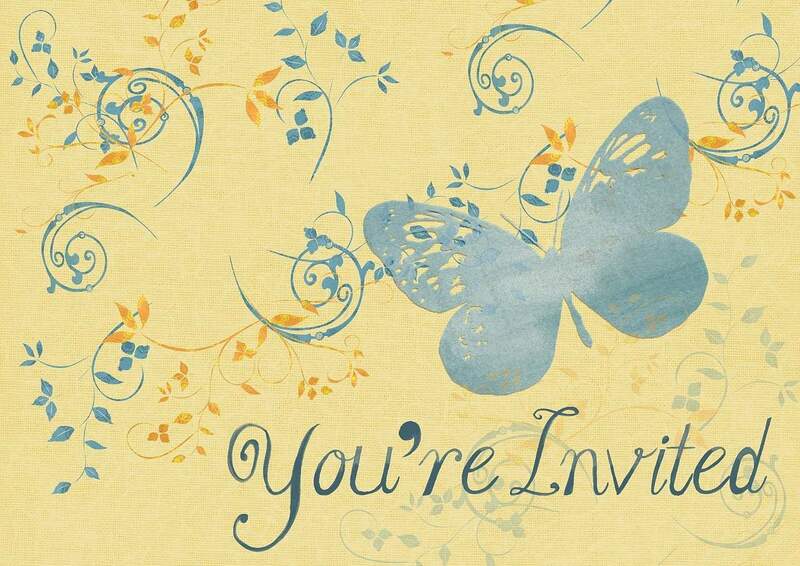 If you've decided on an intimate party, you could hand make your own invitations. They can be as simple or as lavish as your creativity allows. Making your invites will probably cost less than ordering your own as well, so your budget won't be affected too much. If you're planning a bigger party, consider buying cards in bulk and personalize them with each invitee's name. If the guest list spills over three digits, then you should hire someone to design and distribute the cards. Get in touch with your local graphic artist or stationery shop and ask them for a list of prices. 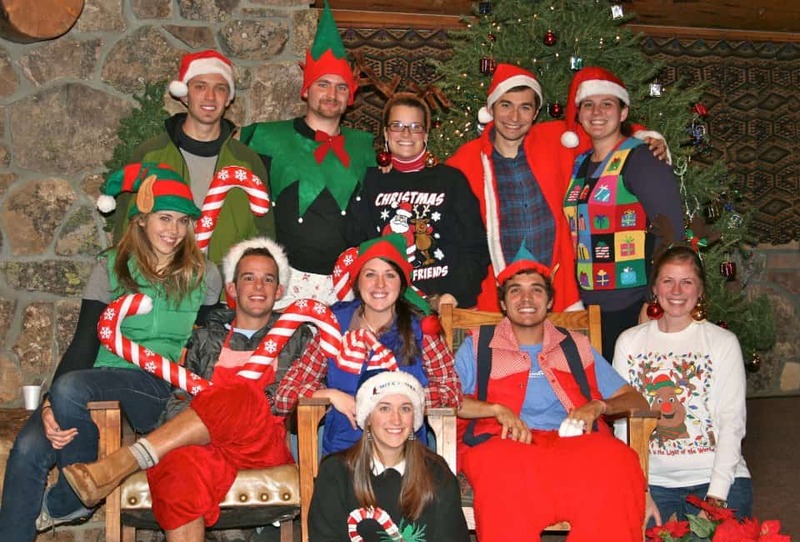 Even if your Christmas party doesn't have a theme, you may want to instill a dress code. The dress code can be as strict or as casual as you please. Your invitation could let your guests know that this party is all about eating, drinking, and being merry — so don't worry about what you're wearing. You could also insist that your guests participate in an ugly sweater contest. Breaking the ice when you're wearing a hideous tongue-in-cheek holiday sweater is suddenly much less daunting. You may find that making friends is much easier, too! Fully machine washable. Best washing instructions on tag. Design is placed on front of shirt. Back of shirt will be left blank. Contrarily, a stunning venue with several hundred people may be the right setting for your office Christmas party. In this case, you may stipulate a strict black tie dress code on your invitation. This dress code will show your guests that this is no ordinary dinner with their in-laws. Instead, the evening is bathed in festive glamour, and they should dress the part. 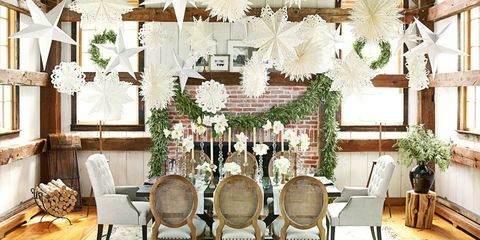 Whether you're decorating a hall or your home, inspiring the whimsical holiday feel during your Christmas party is critical. Gathering supplies and decorations is much easier if you're aiming for the traditional Christmas feel. This means investing some funds on real poinsettias and outdoor decorations if you're planning a family celebration. Outfit your home with string lights and lawn ornaments a few weeks before your get together. 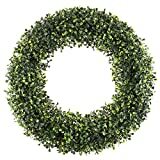 Hang a real or artificial wreath on a door hanger equipped with some bells so that every time you open the door a soft chiming invites your guests inside. Once your guests have stepped inside, they should continue to feel like Christmas has made its way indoors. Everyone has their personal preference when it comes to decorating -- holiday decorating is no different. If you're a fan of the minimalist look, add some holly or mistletoe around your everyday hurricane candle holders. For the traditionalist, wrapping your staircase with red or gold ribbon or even some artificial greens is also a great way to warm up your home decor. If your home has a fireplace, dress up your mantle as well. Add a festive runner and top your mantel with some silver reindeer or some tall candle holders. Forego the traditional artificial tree and treat yourself to a real fir tree a couple of weeks before the big event. 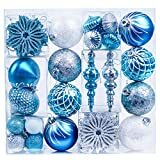 Dress it up with ornaments in your favorite color combos, such as blue and silver or select the more traditional green and red with a white skirt to resemble snow. It would be better if you also paid particular attention to your table setting, given as it will be a high-traffic area once your feast is on the table. 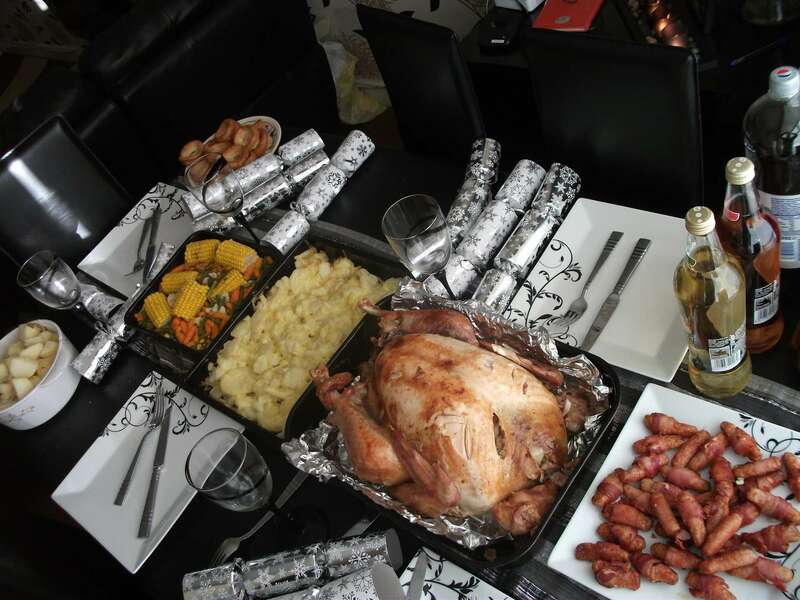 Protect your glass top or wooden table with a padded table cover followed by a festive tablecloth of your choice. Invest in some charger plates (in the color scheme of your choice) and take your special china out of hiding. Now is the time to show off your prized plates, silverware, and glasses for this special occasion. Being the ultimate party host is a feat in and of itself. The host is the person that everyone at the Christmas party knows and with whom everyone wants to converse. They greet newcomers at the door and perform introductions to the rest of the party guests. However, some guests tend to hang around the host when they are meal- or drink-prepping, which is ultimately in the kitchen. Often considered the heart of the home, the host cannot be the best they can be when their guests are circling them. Before your guests arrive, set your home's mood. Lower the lights and light some candles to add a sense of warmth to the living or dining room. Turn on the fireplace and put on some quiet music. Make sure your appetizers are already on the table away from the kitchen, so you're ready to go. Once you've greeted your guests at the door, seat them in your living/dining room and make introductions if necessary. Have your significant other or your co-host sit down and have a chat with everyone if you're still preparing. Once your number two person has things under control, make your way back to the kitchen to fix your guests more drinks, snacks, and anything else they may need. The point is to keep them away from the kitchen, so you have time to finalize your finishing touches. Planning the menu is going to take a lot of organization, especially if you’re hosting a large crowd. If you want to be a very hands-on host for a multitude of people, consider catering all of your appetizers, main courses, and desserts. Ordering out will make the party much more enjoyable, and you won’t need to worry so much about planning. However, if you want to get your hands dirty, there are thousands of recipes online at your disposal. Make a cheese platter or cheese ball with a selection of artisan crackers to appease your guests’ bellies when they first walk in the door. Pretzels, veggie platters, and garlic knots are also excellent grab-and-go snacks when you’re waiting for dinner. Go above and beyond by assembling your appetizers in a festive shape such as a wreath, snowman, or even a candy cane. A roasted turkey with all the fixings (stuffing, mashed potatoes, and gravy) is the usual go-to Christmas party main course. Roast beef, ham, and whole roasted chicken are also alternatives. If you have a vegetarian in the family, try your hand at making a delicious entire roasted cauliflower. Alternatively, there are plenty of savory tart recipes online filled with seasonal veggies such as butternut squash, mushrooms, and sweet potatoes. Take a load off your shoulders by making dessert a potluck. This way, everyone can bring their very own favorite dessert and share it with your loved ones. Popular choices include pecan pie, sugar cookies, and gingerbread anything (cake, cupcakes, and cookies). No Christmas party would be complete without festive drinks. Make sure to take stock of your bar to ensure that you have all the necessary ingredients. Your checklist should include buying enough wines (red, white, and rosé) to please the crowd. If you know that one of your guests enjoys a particular brand of wine, pick it up to make them feel extra special. Should you enjoy the occasional sangria, make a big jug and top it with a few cranberries to make it festive. The most classic drink would have to be, of course, is eggnog! If you aren’t a fan of the thick drink, you could always make a cup of hot chocolate and add a dab of Bailey’s. Or make your guests some hot cider, mulled wine, and hot buttered rum. For those desiring a little bit more class, serve up a glass of sparkling wine or champagne. Pour a small amount of a blackberry syrup to the bottom and top with a sprig of rosemary for a beautiful holiday drink. 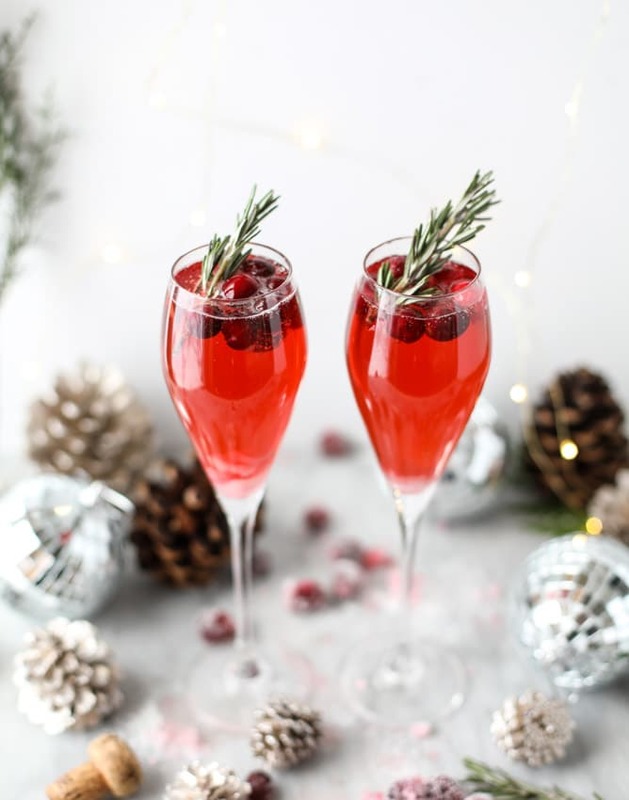 There are countless recipes online for holiday-inspired cocktails and alcohol-free cocktails (also known as mocktails) to make your Christmas party a hit. Large parties call for a small investment in musical entertainment. Office parties, for instance, may enjoy the sound of a live band performing while they socialize. Parties with a younger crowd, however, may prefer a DJ so the can request their favorite songs and dance after dinner. 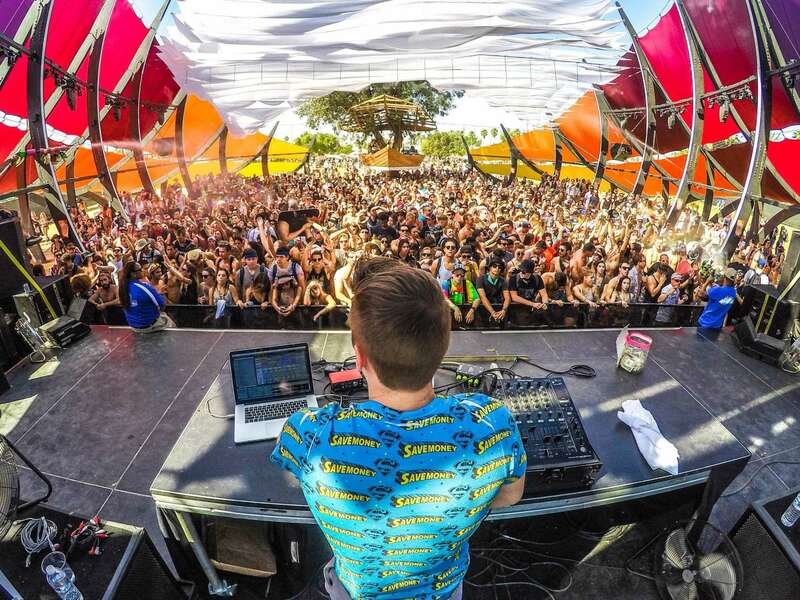 Smaller parties don't need a DJ or a band because chances are they won’t fit in your living room anyway! Instead, make a long playlist on your iPod or select a few CDs that will fit your central theme. If your Christmas party is intimate and demure, soft Jazz music will set the mood beautifully. Otherwise, modern takes on traditional songs (such as Silent Night, Jingle Bells, etc.) 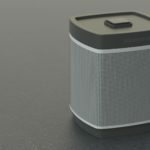 will provide just the right amount of background sound for an entertaining evening. Even Christmas parties held in larger venues (such as halls) need some entertainment. While live music or DJs provide musical entertainment, there are usually other sources of amusement. 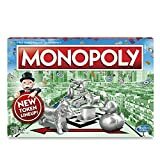 Raffles and special guests, for example, give larger holiday parties a break from all the eating, drinking, and socializing. 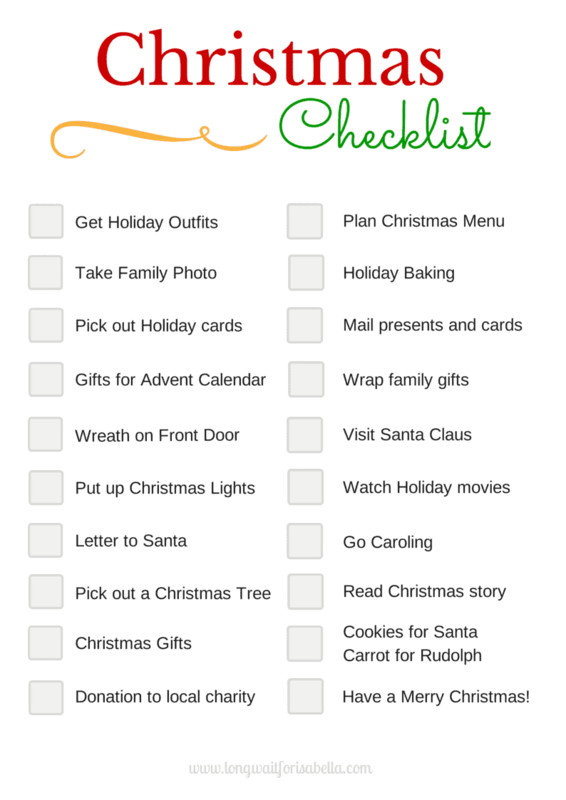 Smaller family holidays can introduce more hands-on fun for children and adults alike. Karaoke, for instance, is a trendy way to burn off some calories after dinner and make some new friends. 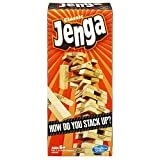 Board games such as Jenga, Monopoly, and trivia games are inexpensive ways to pass the time. If you have time to prep, consider planning a craft table for the kids. Organize the table and bestow one of the parents with the responsibility of playing teacher for a couple of hours. This way, children have an opportunity to bond with their friends and family while creating something memorable for their parents. The holiday season is all about coming together with your friends and family. Hosting the annual Christmas party means you’re the lucky one who gets to open their home and their hearts to your loved ones. But remember that this celebration is not about buying things to make your guests happy. Decorating your home, planning the entertainment, and bringing together the feast is merely one way to show your love and appreciation. Because at the end of the day, it’s love that brings everyone together.